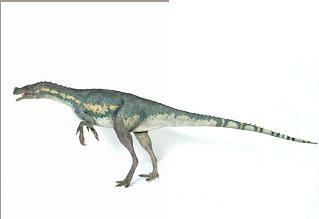 Ornitholestes was a fast-running dinosaur that lived during the late Jurassic period about 156-145 million years ago. Anatomy: This light-weight dinosaur had a a small head with a small crest on its snout. It had long arms, a light-weight body, an S-shaped neck, and a long tail. Ornitholestes was about 6.5 feet (2 m) long. It was bipedal; it walked on two long legs. 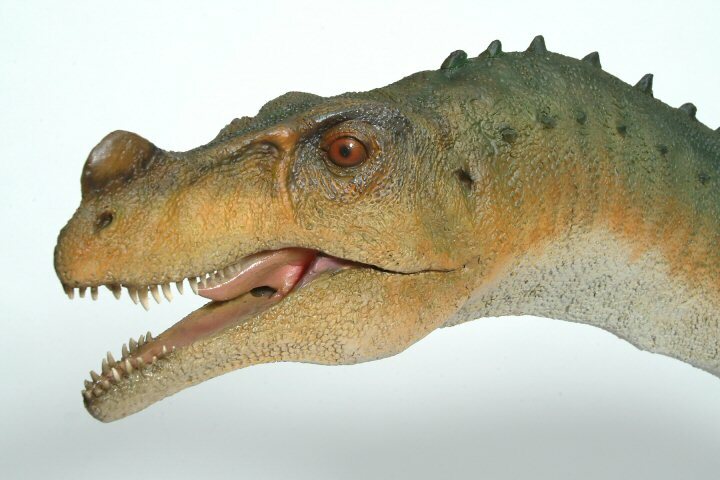 Diet: Ornitholestes was a carnivore (a meat-eater) that had many sharp teeth in its jaws. Fossils: Fossils of this theropod have been found in Wyoming and Utah, USA.